Happy 60th Birthday Dolph Lundgren! 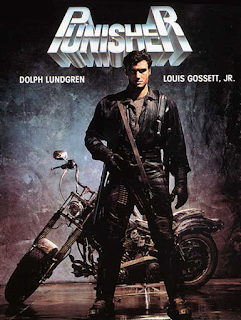 Posting his movie, The Punisher (1989), in his honor! Starring: Dolph Lundgren, Louis Gossett, Jr. Plot: When Frank Castle's family is murdered by criminals, he wages war on crime as a vigilante assassin known only as the Punisher. NOTE: This section not included in Wordcount. Posted 11/6 as-of 11/3.